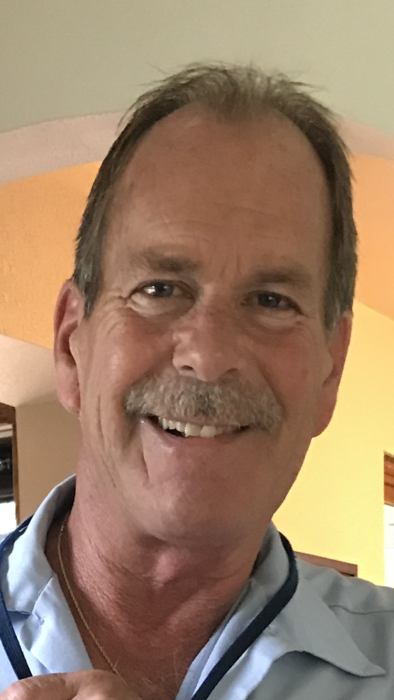 John Thomas "Jack" Henderson, 61, of Duluth, died Wednesday, August 29, 2018, at Essentia Health-St. Mary's Medical Center, following a courageous battle with cancer. Jack was born in Duluth on January 13, 1957, to William and Charlotte (Bouchard) Henderson. Jack was a 1975 graduate of Denfeld High School and was promoted to Staff Sergeant in the US Air Force. Jack married the love of his life, Geraldine Mankowski, on May 16, 1981, in Duluth. Known by many as "Jack the Mailman," he worked for the US Postal Service, retiring in 2017 after 36 years of service. Jack was a member of St. Lawrence Catholic Church and the National Association of Letter Carriers. He was a handyman, eager to use his skills to help anyone in need. He could fix or build almost anything, spending many hours in his "Garage Mahal" restoring collector cars, especially Grandma Adele's 1965 Dodge Coronet. He enjoyed playing golf and was a member of the Enger Park Men's League. Jack was an avid Twins, Vikings and Wild fan. He subjected Gerri to countless hours of watching game replays. His family was his world. Jack was not done fighting and would have gladly suffered more pain to be with all of us. He and Gerri raised three amazing children, and Jack was very proud of all their accomplishments. He especially loved spending time with his three granddaughters. If you ran into Jack you almost always saw Gerri; they were inseparable. Jack always wore a smile and made sure you got a hug or a handshake before you left his company. If you were lucky enough to cross paths with this man you considered yourself blessed. He truly had the kindest and most gentle soul. He will be terribly missed by his family and friends. Jack was preceded in death by his parents and his mother and father-in-law, Del and Chet Mankowski. He is survived by his loving wife, Gerri; daughters, Lindsey (Shawn) Aubol of Duluth and Lauren (Tony Murray) of Duluth; son, Dr. Aaron (Alita Caldwell) of Philadelphia; granddaughters, Elyse, Hope and Brooklyn Aubol; sisters, Gaye (Marvin Thompson) Stariha of Superior, WI, Pam (Pete) Haas of Oakdale, MN, Ann (Mike) Amlin of Proctor and MaryBeth (Rob) Zust of Apple Valley, MN; brother Mike (Linda) of Duluth; aunts Joan Bradley and Leah Bouchard; sisters-in law, Louise (the late Walt) Jenny and Del (Scott) Schowalter; brother-in-law Tim (Anita) Mankowski; his and Gerri's traveling buddies, Mike and Janet Peterson; many nieces, nephews, cousins and friends; his dog baby girls, Maddie and Lilly and his grand doggies, Scooter, Berkley and Chester. Jack's family would like to extend a special thank you to his Essentia Health Care Team, Dr. Jason Schultz, Dr. Dan Nikcevich, Dr Kalkidan Bishu, Dr. Chris Heck, Dr. Eric Swanson, and every other person in the Cardiology and Oncology departments involved in his care. Jack was truly grateful for their kindness and compassion.Visitation will be from 5-7 p.m. Monday, Sept. 3, at St. Lawrence Catholic Church, 2410 Morris Thomas Road. Visitation will continue from 10-11 a.m., followed by the Mass of Christian Burial at 11 a.m., Tuesday, Sept. 4, at the church. Military Honors accorded by the Duluth Honor Guard. Burial in Oneota Cemetery Arrangements by Williams-Lobermeier-Boettcher Funeral Home.